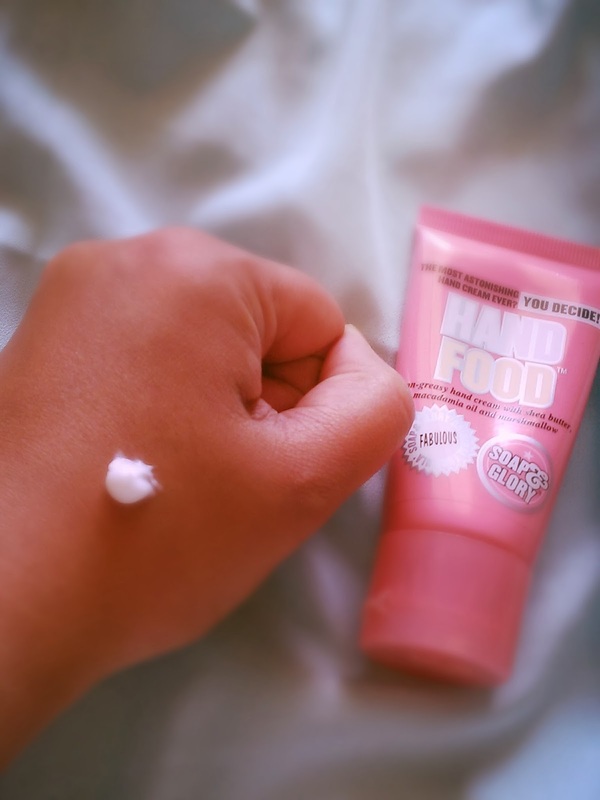 kohlcrush...: Dupe for Soap and Glory Hand Food? 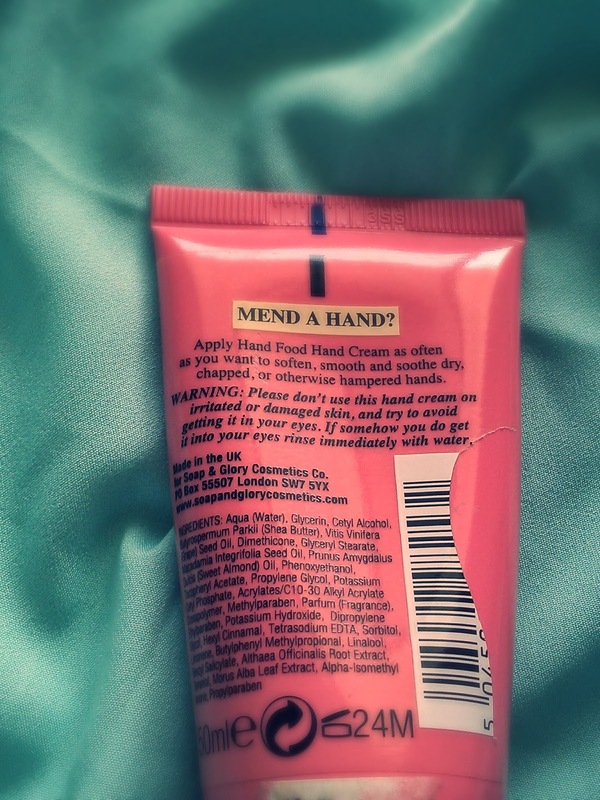 Dupe for Soap and Glory Hand Food? 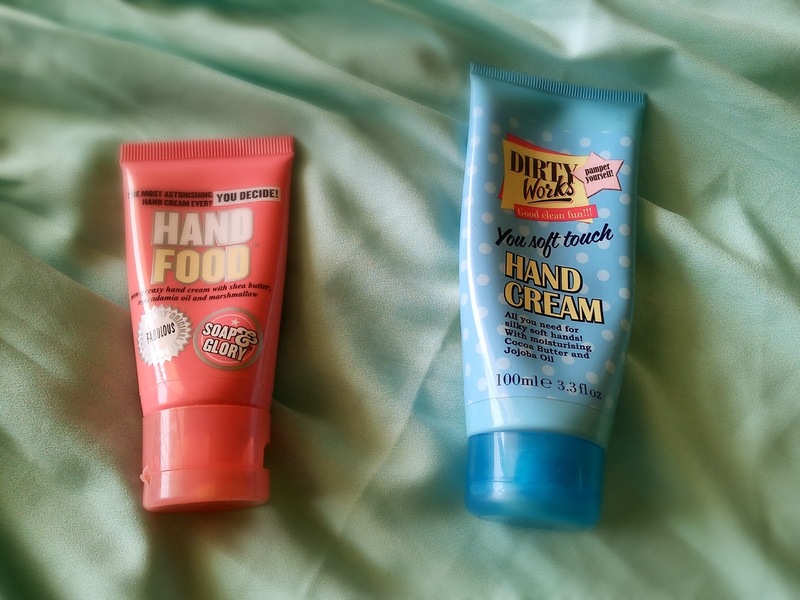 Today i am going to compare the much loved Soap and Glory hand food and Dirty Works hand cream. Both products come in similar tube-like packaging. Also both the products are rather cute to look at. Talking of fragrance both have amazing fragrance that linger on for quite some time. The fragrance of hand food is as we all know quite difficult to explain. However it does remind me of something sweet..candy like with a slight floral feel to it! 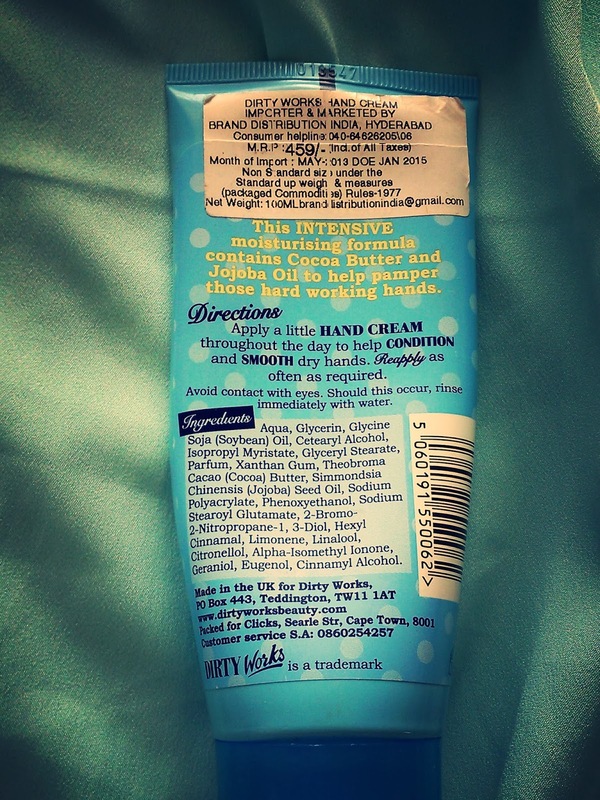 Dirty works hand cream also smells quite similar. 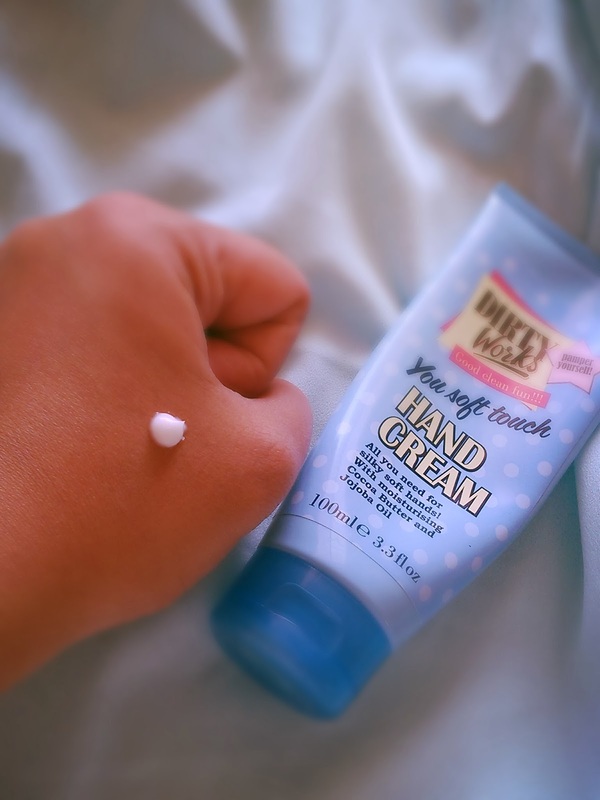 Talking of consistency i find hand food to be only slightly thicker than dirty works hand cream. Both creams get absorbed by the skin quickly and dont feel greasy at all. i especially love to use it after being in contact with water for quite some time. Both creams do a pretty good job sealing moisture to my hands. Lastly, i would like to conclude by saying that both creams are a great buy. Considering Price dirty works is a sure winner, it can be called a dupe for hand food. In terms of moisturisation also it does a pretty good job. 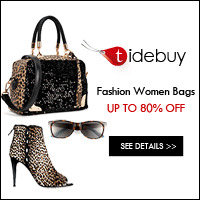 Also it is available to us on various Indian shopping websites unlike the soap and glory hand food. yes ...i have used the soap and glory one sweetie..and its really awesome...all the dryness and the flakes go away! My Sephora Experience+ budget haul!